What happens when an undocumented teen mother takes on the U.S. immigration system? When Aida Hernandez was born in 1987 in Agua Prieta, Mexico, the nearby U.S. border was little more than a worn-down fence. Eight years later, Aida’s mother took her and her siblings to live in Douglas, Arizona. By then, the border had become one of the most heavily policed sites in America. Undocumented, Aida fought to make her way. She learned English, watched Friends, and, after having a baby at sixteen, dreamed of teaching dance and moving with her son to New York City. But life had other plans. Following a misstep that led to her deportation, Aida found herself in a Mexican city marked by violence, in a country that was not hers. To get back to the United States and reunite with her son, she embarked on a harrowing journey. The daughter of a rebel hero from the mountains of Chihuahua, Aida has a genius for survival—but returning to the United States was just the beginning of her quest. 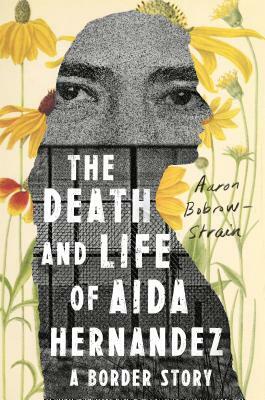 Taking us into detention centers, immigration courts, and the inner lives of Aida and other daring characters, The Death and Life of Aida Hernandez reveals the human consequences of militarizing what was once a more forgiving border. With emotional force and narrative suspense, Aaron Bobrow-Strain brings us into the heart of a violently unequal America. He also shows us that the heroes of our current immigration wars are less likely to be perfect paragons of virtue than complex, flawed human beings who deserve justice and empathy all the same. Aaron Bobrow-Strain is Associate Professor of Politics in Whitman College. His writing on food, immigration, and the U.S.-Mexico border has appeared in The Believer, The Chronicle of Higher Education Review, Salon, Gastronomica, and The Huffington Post. He is the author of White Bread: A Social History of the Store-Bought Loaf and Intimate Enemies: Landowners, Power, and Violence in Chiapas.